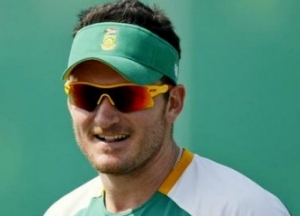 Johannesburg, Feb 25 : South African Graeme Smith has termed his team's successful Test wins in New Zealand, England, Australia and Pakistan as a `special summer' after they beat Pakistan by an innings and 18 runs on the third day of the third and final Test at Centurion. Smith, who led his squad through five home wins- two against New Zealand and three against Pakistan- said that they had spent a long time touring and wanted to come back at their homeland to play a positive brand of cricket in front of their own crowds, Sport24 reports. Stating that he and his team had made several milestones while attaining the wins, Smith said that he is grateful to be a part of a squad, who, he added, can achieve more in the future. Praising the maturity and professionalism shown by his team in a dead-rubber game against Pakistan, Smith, who made a record as the first captain to achieve 50 Test wins, said that although it was easy to become complacent in the matches against Pakistan, his team had shown their full commitment and pride in their performance. The match against Pakistan was South Africa''s sixth successive win and extended their unbeaten run to 15 matches, stretching their lead at the top of the International Cricket Council Test rankings.